Desert Hills 3 East is located below the Santa Rita Mountains in Green Valley Arizona with easy access to I-19, shopping centers, and the city of Tucson. This friendly community of 91 homes enjoys picturesque views as it is bordered on three sides by large arroyos and many areas of nature space with mature trees, wide variety of shrubs and cacti. Our Association was registered as a corporation with the Arizona Corporation Commission on December 20, 1978. Our key objective is to maintain the integrity of our neighborhood and maintain the value of our properties. Our active board and members work together on committees continuously improving the community and landscape. The HOA hosts themed parties and events like a Bon Voyage Party, Welcome Back Social and monthly luncheons, where neighbors can get to know each other. Since we are a smaller HOA, it is possible to find a true sense of community. Neighbors wave as they walk or drive by welcoming you to the neighborhood. 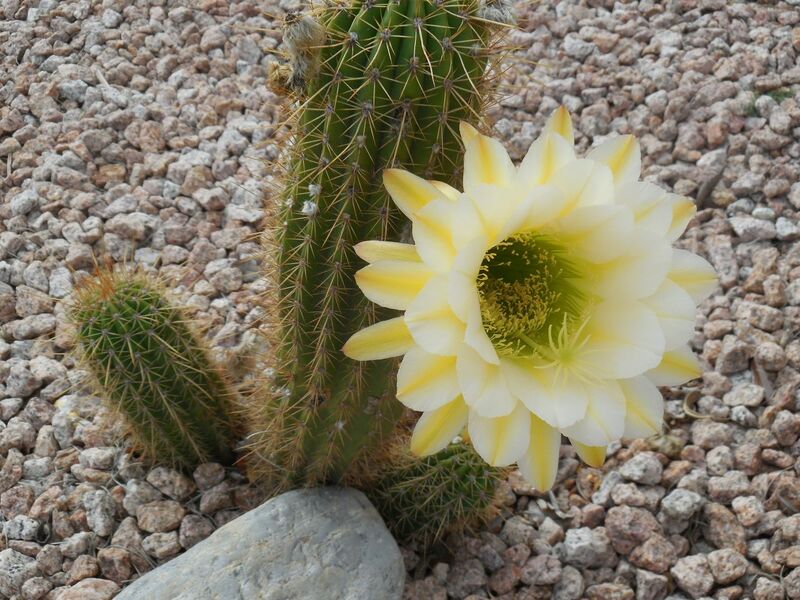 Wildlife sightings are frequent and sunsets over the Santa Rita Mountains are vivid. Ninety-one attached and unattached single level homes of approximately 1400 to 1800 square feet feature low-maintenance stucco exteriors and main-level living with either garages or carports and some golf cart garages as well. 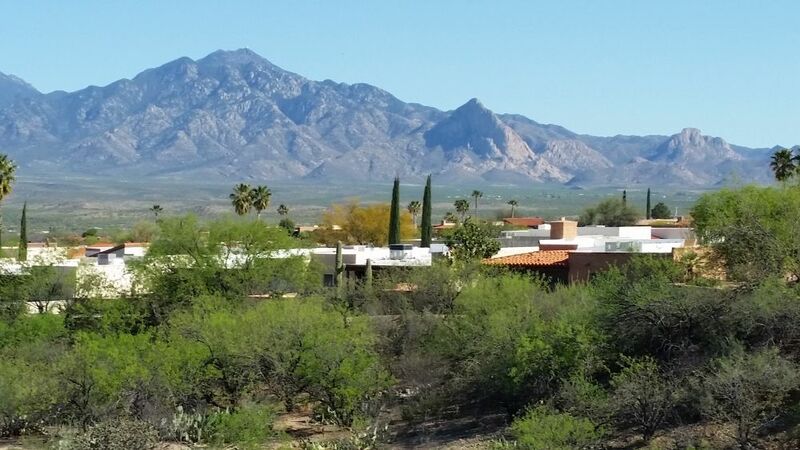 View of our roof tops and Elephant Head, a prominent natural land mark in the Santa Cruz Valley at the base of the Santa Rita Mountains. Our residents enjoy access to all Green Valley Recreation (GVR) complexes. The Desert Hills Social Center is within a five minute walk. This center offers meeting rooms, an auditorium with a stage, a catering kitchen, an art studio, a lapidary studio, a ceramics studio, along with a fitness room, outdoor pool, 4 tennis courts, and shuffle board courts. What is Green Valley Recreation? Green Valley Recreation (GVR) is a non-profit organization run by volunteers operating 13 facilities for Green Valley residents (http://www.gvrec.org/). The facility Centers offer swimming pools, tennis courts, fitness rooms, painting, pottery, silversmith / lapidary studios, auditoriums, social meeting rooms for the enjoyment of members and their guests. Various clubs welcome new participants to indoor and outdoor activities. A wide range of classes in the arts, language, dance, fitness, music, clay/ceramics, cooking are offered for a nominal fee throughout the season. CLICK HERE for a map of all GVR Facilities.